Violent clashes have erupted at down today in Jenin and Balata refugee camps east of Nablus where Israeli forces fired intensively sound and tear gas bombs. Five arrests were reported. Dozens of Israeli military vehicles stormed Jenin refugee camp and clashed with Palestinian citizens who stoned Israeli soldiers. 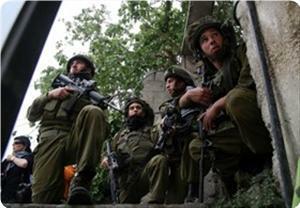 Three Palestinian were arrested after storming their houses, local sources said. The sources added that the occupation forces have violently raided the house of Sheikh Bassam Saadi, a leader in Jihad Movement, and Jamal Fares, the sources added. Moreover, Israeli occupation forces stormed Balata refugee camp east of Nablus, two arrests were reported. Hamas Movement confirmed in a report that 80 arrests were carried out by occupation forces arrested during the past week throughout West Bank cities after launching night raids against Palestinian houses. The report documented 16 arrests in occupied Jerusalem, 38 arrests in Nablus, Jenin, Tulkarem and Qalqilya northern West Bank, while 6 other were detained in Ramallah. 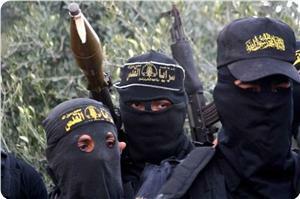 Three liberated prisoners were among the detainees in addition to a Palestinian female, the report added. 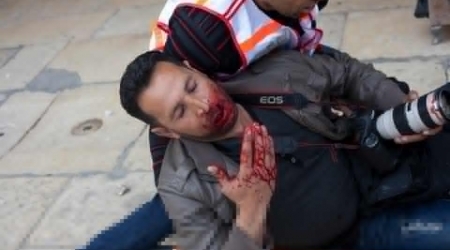 A number of citizens were wounded and others were arrested in the Israeli occupation forces’ quelling of a peaceful demonstration to the east of occupied Jerusalem on Monday morning. Activists of the popular committees against the wall and settlement told the PIC that IOF soldiers used violent means to quell a demonstration by inhabitants of Alezariya in rejection of settlement activity and harassment of citizens. They said that a number of citizens were wounded and bruised while three were detained in the demonstration near the entrance to the town. The activists pointed out that the citizens were protesting the daily traffic jams caused by IOF soldiers at the entrance to Alezariya to protect and facilitate movement of Jewish settlers in the nearby Ma’aleh Adumim settlement. Israeli soldiers kidnapped, on Sunday at dawn and on Saturday evening, several Palestinians in different parts of the occupied West Bank, and in the Gaza Strip. 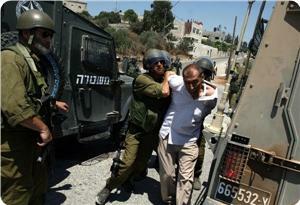 Most of the invasions and arrests took place in the Hebron District, in southern West Bank. Mohammad Awad, spokesperson of the Popular Committee against the Wall and settlements in Beit Ummar, north of Hebron, said that dozens of soldiers invaded the town, and kidnapped Montaser Abdul-Hamid Awad, 22. He added that Awad is a former political prisoner who spent two years in Israeli prisons. He was taken prisoner, on Sunday at dawn, after the soldiers violently broke into his house, and searched it causing excessive damage. Dozens of soldiers also invaded Doura city, southwest of Hebron, broke into a home and kidnapped one resident identified as Noureddin Mohammad Wishah, and took him to an unknown destination. Furthermore, Israeli military sources stated that the soldiers kidnapped two Palestinians in Beit Ola village, near Hebron, one of them identified as Ibrahim Ahmad Al-‘Adam. Another Palestinian has been kidnapped in Beit Awwa town, and another in Hebron city. On Sunday at dawn, soldiers installed a roadblock on the Halhoul Bridge, north of Hebron, while dozens of soldiers invaded a number of neighborhoods in Hebron city, and in Nouba village, west of Hebron. Medical sources said that the soldiers attacked, and injured, Ahmad Suleiman Al-‘Emla, 22, from Beit Ola village, and Adham Jamal Saya’ra, 20, from Kharas village. Both were working near Ramadeen village, south of Hebron; they suffered moderate injuries and were moved to the Hebron Governmental Hospital. Local sources in the Jenin refugee camp, in the northern West Bank city of Jenin, said that at least fifteen military vehicles invaded the camp, and fired dozens of rounds of live ammunition. Soldiers then broke into a number of homes, and violently searching them, using some as monitoring towers, and kidnapped two Palestinians identified as Ahmad Abu Zeina, 25, and Tawfiq Saber Jarjou’, 26. The invasion lasted for three hours, while Israeli sharpshooters were seen taking positions on rooftops in the camp. Furthermore, Israeli military sources said that resident Odai Bassem Al-Jamry, 16, from the Balata refugee camp in the northern West Bank city of Nablus, has been taken prisoner in Haifa, allegedly after he attempted to stab an Israeli soldier. His father is a Palestinian security officer; the soldiers searched his home, and confiscated a computer and other equipment. In related news, soldiers kidnapped three Palestinians near a Kibbutz close to the border with Gaza, in an area east of the Al-Boreij refugee camp, in central Gaza. 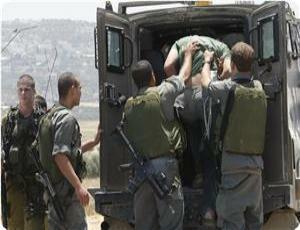 The army said that the three were not armed, and were taken prisoner after approaching the border fence. They were moved to an undisclosed interrogation facility. Israeli occupation forces (IOF) rounded up seven Palestinians in various West Bank areas after storming and searching houses at dawn Sunday. Mohammed Awad, the coordinator of the popular committee against the wall and settlement in Al-Khalil, said that IOF soldiers detained liberated prisoner Muntaser Awad from Beit Ummar town, north of Al-Khalil. He said that the soldiers also arrested the teenager, Nour Wishah, from Dura town, south west of Al-Khalil. Local sources in Beit Ola village, west of Al-Khalil, said that IOF soldiers nabbed Ibrahim Al-Adam in addition to two others, the identity of which could not yet be known. IOF soldiers set up a roadblock at Halhoul bridge and roamed the streets of Al-Khalil city and nearby villages and beat up two workers, who suffered medium wounds as a result. Meanwhile, IOF soldiers broke into a number of Palestinian homes in Taku village, south of Bethlehem, and served a summons to Amer Al-Badan. In Jenin, IOF soldiers stormed Jenin refugee camp and arrested two citizens after a large-scale search campaign that was coupled with heavy shooting to terrorize the inhabitants, locals reported. 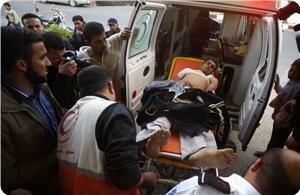 Israeli fighter jets launched a series of mock raids on the Gaza Strip on Sunday spreading panic among the populace. 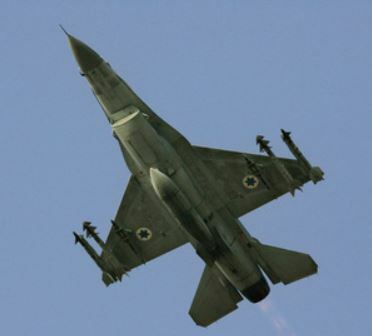 A field observer said that an Israeli F-16 warplane dropped a number of bombs in the sea off Gaza city coast and other deserted areas in the enclave. He said that the explosions rocked the tiny Strip. For his part, a Palestinian security source said that the sounds of explosions heard in Gaza were the result of Israeli mock raids in which the warplanes usually break the sound barrier only to terrorize the inhabitants. A series of Israeli aerial raids last Tuesday night inflicted heavy material losses but no casualties were reported. More than 15 Palestinians suffered injuries on Saturday evening in violent clashes with the Israeli occupation forces (IOF) outside Al-Jalazoun refugee camp to the north of Ramallah city. The Palestinian information center (PIC) reporter in the city said that the clashes erupted after a horde of Jewish settlers from the nearby settlement Beit El threw stones under military protection at passing Palestinian cars and caused considerable damage to them. Eyewitnesses told the PIC reporter that the IOF heavily used live bullets to suppress the angry young men, which led to the injury of five of them, including a taxi driver who received four bullets in one of his knees. 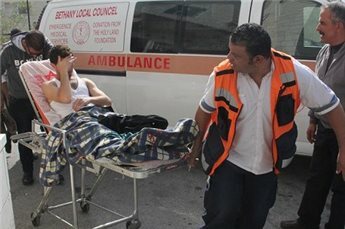 They said that the ambulances had a hard time entering Al-Jalazoun refugee camp to transport the wounded young men to hospitals after the IOF closed all the main entrances to the camp. They also affirmed that the IOF used sound suppressors on their firearms to reduce the amount of noise caused by firing live bullets. Two young men on Friday evening suffered bullet injuries when the Israeli occupation forces (IOF) randomly opened fire at Palestinian farmers living east of Jabaliya district in northern Gaza. Eyewitnesses said that the Israeli troops stationed behind Al-Shuhada'a cemetery, east of Jabaliya, opened heavy machinegun fire at Palestinian farmers living in the area and wounded two of them. Spokesman for the health ministry Ashraf Al-Qudra stated that one young man suffered an injury in one of his thighs and the other a shrapnel wound to his head, describing their injuries as minor. This incident is considered another violation of the truce in Gaza that were brokered by Egypt on November 21, 2012 between the Palestinians and Israelis. Since then, the IOF have killed 11 Gazans, wounded and kidnapped many others, while the Israeli navy detained and injured about 50 fishermen, and destroyed and confiscated some fishing boats. Israeli occupation forces (IOF) raided Kharsa village, south of Al-Khalil, on Friday night and showered residential areas with teargas canisters and metal bullets. 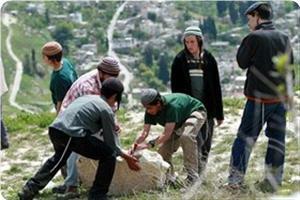 Eyewitnesses said that the IOF patrols closed all roads leading to Kharsa village and stormed nearby Tabaka village. They said that citizens threw stones and empty bottles at the invading soldiers in violent confrontations that extended till midnight. Five Palestinians were injured and many others were arrested after the outbreak of violent clashes in Yatta town southern al-Khalil between Palestinian residents and Israeli occupation forces. Activist Rateb Rajoub said that Israeli settlers stormed Um Arayes village in Yatta town and assaulted Palestinian citizens, leading to the injury of five of them and the detention of five others including a woman. The settlers broke into the citizens' agricultural lands under the pretext of reaching their Caravans set up in the area as a prelude to confiscate the lands. Meanwhile, IOF soldiers stormed Dura town on Saturday where they summoned a Palestinian citizen for investigation. Local sources said that IOF soldiers, in five patrols, stormed Palestinian houses in Dura town and summoned Mohammed Awled Mohammed. No arrests were reported. On the other hand, IOF soldiers erected on Saturday a number of checkpoints at the entrances to al-Khalil city, Fawar camp, and Wadi Shahna southern West Bank. Palestinian citizens and vehicles were searched while passing through the entrances, eyewitnesses said. IOF closed a street near Beit Awwa village under the pretext of protecting settlers in Njihut settlement established on Dura lands, where the soldiers closed the Iron Gate adjacent to the settlement obliging the citizens to use farther roads. Israeli settlers and forces waged on Friday night attacks in the vicinity of the town of Yabad, south of Jenin, and closed the Yabad - Tulkarem road. Local sources said that the occupation forces closed the Iron Gate established at a military checkpoint at the entrance to the settlement of Mapuduttan, and prevented the citizens from crossing. They added that the Israeli soldiers informed the citizens that they will not be allowed to cross through the gate, in the framework of a series of collective punishment imposed on Yabad's residents for nearly a month. Meanwhile, dozens of settlers from Mapuduttan and Hermesh settlements were deployed on Kefert crossroads near the town of Yabad, and set fire to tires on a plain in the town. Another group of settlers headed to Hofayra Mount south of the city of Jenin and performed Talmudic rituals there, under the protection of large military forces. Violent clashes broke out on Friday between Israeli soldiers and protestors in different West Bank areas, especially in Ramallah. The Israeli occupation forces (IOF) brutally attacked the weekly anti-wall march held yesterday afternoon in Bil'in village and clashed with Palestinian and foreign activists. 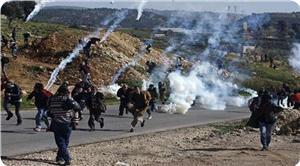 A protestor reportedly suffered a rubber bullet injury in his back and many others suffered from tear gas inhalation. 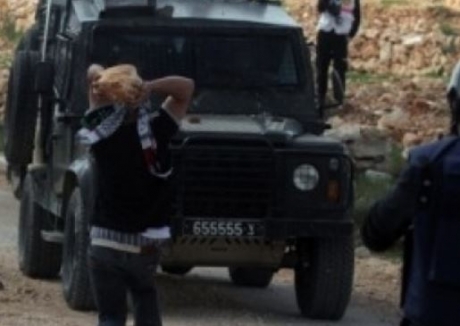 The IOF also used excessive force to disperse a march in Nabi Saleh village demanding the Israeli occupation authority to allow the villagers to get access to their own water well, which was taken over by Jewish settlers. Violent clashes erupted as well in Al-Ram town, northeast of Jerusalem, after IOF soldiers stormed the town and unjustifiably fired tear gas grenades at homes. In the evening of the same day, dozens of Palestinian young men clashed with Israeli soldiers outside Ofer prison near Ramallah, with no reported injuries. To the east of Ramallah, IOF soldiers stormed Silwad town and occupied the house of a Palestinian citizen identified as Muammar Ayad and use it as a point to fire rubber bullets and tear gas grenades at passersby and other homes. Eyewitnesses told the Palestinian information center (PIC) that the invading troops physically assaulted the wife of Ayad and his children before detaining them in one of their house's rooms. 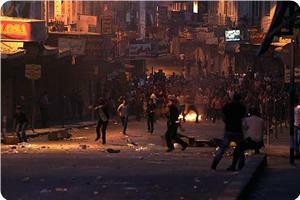 Confrontations also took place outside Al-Jalazoun refugee camp to the north of Ramallah. The Israeli soldiers guarding the fence of the illegal Beit El settlement opened tear gas and smoke grenades at the camp, while angry young men from the area responded by hurling stones. The armed wing of Islamic Jihad movement, the Quds Brigades, has warned that the Israeli repeated violations of the calm agreement in Gaza Strip could lead to its collapse. Abu Ahmed, the official spokesman for the armed wing, said in a press release on Thursday that the Israeli violations of the agreement should immediately stop. He referred in this regard to the ceaseless firing at Gaza borders and the shelling and raids on resistance positions, civil institutions, and citizens’ land. Resistance factions have the full right to confront the Israeli incursions with all means possible, the spokesman affirmed. He renewed calls on all factions to shun differences and to unite to jointly confront any future Israeli invasion. 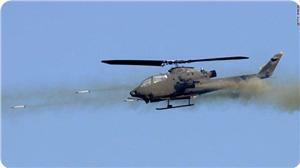 Israeli warplanes launched on Thursday morning a series of mock raids in different areas of the coastal enclave. 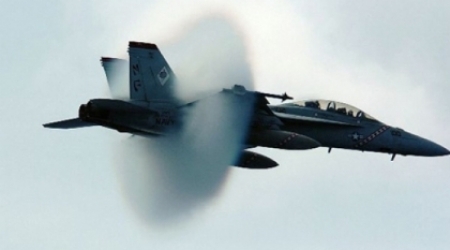 ALRAY correspondents reported that a number of F16 fighter jets broke the sound barrier over Gaza , causing Loud explosion sounds. Palestinian security sources said that the Israeli occupation carries out mock raids repeatedly to terrorize the civilians in Gaza. 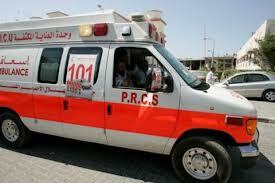 The Israeli warplanes targeted Gaza on Tuesday with seven air strikes, no injuries reported. Israeli war jets carried out seven air strikes targeting different areas in the northern and the southern parts of the Gaza Strip. Israeli military sources alleged that the attacks were carried out after Palestinian armed groups fired a number of mortars targeting armored vehicles invading Khan Younis, in the southern part of the coastal region. Local sources in Khan Younis, in the southern part of the Gaza Strip, have reported that the army fired missiles targeting two chicken farms that belong to the Esleih family in the Al-Manara neighborhood in Khan Younis. The chicken farms were completely destroyed, and around 4000 chicks and some sheep were killed. No human casualties have been reported. The Israeli Air Force also fired a missile into an area, nearly 250 meters from the border fence, east of Khan Younis. The attacked area is where three Palestinian fighters, members of the Al-Qassam Brigades of Hamas, were killed, and four Israeli soldiers were injured, during a recent Israeli invasion into the area. Another Air Strike targeted a vacant chicken farm in the Az-Zanna area, in Bani Soheila, east of Khan Younis; damage was reported but no injuries. Furthermore, at least one missile was fired into a training center used by fighters of the Al-Quds Brigades, the armed wing of the Islamic Jihad, north of Beit Lahia in the northern part of the Gaza Strip. Fawzi Barhoum, a Hamas spokesman, described the Israeli air raids on Gaza on Tuesday night as an act of “muscle-flexing”. He said in a press release on Wednesday that the Israeli escalation reflected the “Zionist enemy’s state of confusion and hysteria”. Barhoum said that the Palestinian resistance had confused the “Zionist enemy” on the security, military, and political levels. The spokesman said that Israel was benefiting from the US support in launching such attacks in addition to the tight siege on Gaza, the Palestinian Authority’s inaction, the ban on resistance in the West Bank, and the absence of Arab and Islamic positions to expose and punish it for its crimes. Palestinian medical sources have reported that a Palestinian woman was wounded after being rammed by a speeding vehicle of an Israeli settler, near the northern West Bank city of Nablus. The sources said that Shamsa Sharif, 60 years of age, was moved to the Rafidia Hospital in Nablus, suffering moderate but stable injuries. Sharif is from Huwwara village, south of Nablus. The settler fled the scene after the incident. There have been numerous similar hit-and-run incidents in different parts of the occupied West Bank, mainly in the Hebron district in the southern portion of the West Bank. On October 16, 2013, an elderly Palestinian man was seriously injured after being hit by a settler’s vehicle in Al-Fondoq village, east of Qalqilia, in the northern part of the West Bank. On September 29, 2013, a Palestinian worker was injured after being rammed by a settler’s vehicle, near Husan town, west of the West Bank city of Bethlehem. On September 20, a Palestinian man was injured in a similar accident with an Israeli settler who fled the scene. A week before the incident took place, Palestinian child was severely injured after being hit by a settlers’ vehicle as she was walking home from school in Teqoua’ village, near the West Bank city of Bethlehem. The child Hayat Mohammad Suleiman, 8 years of age, was walking back home from school on the main road that is also utilized by Israeli settlers living in illegal Israeli settlements in the region. Soldiers carry out a limited invasion into Khan Younis. 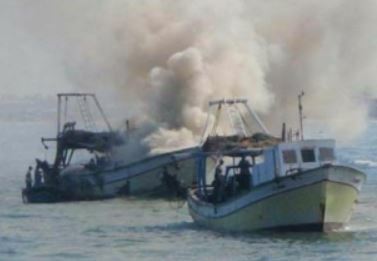 Israeli navy boats opened fire, on Tuesday at dawn [November 19, 2013] at a number of Palestinian fishing boats near the Gaza coast causing damage but no injuries. Eyewitnesses said that the fishermen had to sail back to the shore fearing additional assaults by the army. Palestinian fishermen in Gaza are subject to frequent violations and assaults by the Israeli navy that attacks them even within the six miles allotted to them. The attacks led to dozens of casualties, arrests and significant damages to the boats. In related news, a number of armored Israeli military vehicles, including six military bulldozers, carried out a limited intrusion into an area east of Khan Younis, in the southern part of the Gaza Strip. 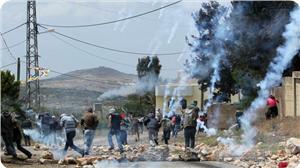 Eyewitnesses said that the army used smokescreens while invading the area, and that the soldiers conducted searches. The invasion targeted an area where, on October 31, three fighters were recently killed, while four Israeli soldiers were injured during clashes with Palestinian fighters. Fanatic Jewish settlers set two Palestinian cars alight in Fara’ta village, west of Nablus, on Tuesday morning. The PIC reporter said that settlers from Havat Gilad settlement near Nablus torched the two cars owned by a citizen in the village and sprayed racist graffiti on the walls before leaving including “Price Tag”. Jewish settlers are protected by Israeli occupation forces in their daily attacks on Palestinian citizens and their property in the West Bank. Israeli occupation forces (IOF) raided southern Gaza Strip on Tuesday morning and Palestinian resistance fighters fired four mortar shells at them. Local sources told the PIC reporter that an IOF patrol escorted six military bulldozers into eastern Khan Younis, south of the Strip, and leveled land. They said that the soldiers fired smoke bombs while combing and bulldozing the area. The IOF said that a projectile slammed into Ashkol area to the east of Gaza Strip but did not cause any casualties or damage. Hundreds of Israeli occupation forces (IOF) attacked Qasra village, south of Nablus, afternoon Monday under heavy gunfire wounding 15 Palestinians. Eyewitnesses told the PIC reporter that the citizens were either directly hit with rubber-coated bullets or suffered injuries from shrapnel while dozens were treated for breathing difficulty. They said that the soldiers, in tens of armored vehicles, stormed the village from its southern entrance under heavy firing of bullets and teargas canisters. They said that the soldiers, who were confronted by dozens of young men throwing stones and empty bottles, managed to advance into the town’s center as citizens asked inhabitants via loudspeakers in mosques to go out and confront the invading troops. The eyewitnesses said that the IOF attack coincided with the entry of dozens of Jewish settlers into the town’s cultivated land and occupied nearby mountain peaks. They said that the settlers triggered the confrontations after they destroyed 50 olive saplings and two hothouses owned by four citizens in the village. Qasra village is surrounded by three settlements that were established on eastern and southwestern areas of the village. Palestinian medical sources have reported that dozens of Palestinians have been injured by Israeli gas bombs and concussion grenades during clashes with Israeli soldiers invaded, on Sunday, in Abu Dis town in occupied East Jerusalem. Spokesperson of the Popular Resistance Committee in Abu Dis Hani Halabiyya stated that dozens of soldiers invaded the town to install electric barbed wire fence at a section of the Annexation Wall that was recently breached by local youths. Halabiyya added that the army took place as schoolchildren, in nearby schools, were just leaving school, and that the army attempted to invade the university campus but faced dozens of protesters. The soldiers managed to break into the university mosque after firing dozens of gas bombs. The attack led to clashes with dozens of students who hurled stones and empty bottles at the invading soldiers, while the soldiers fired rubber-coated metal bullets, glass bullets, and concussion grenades.